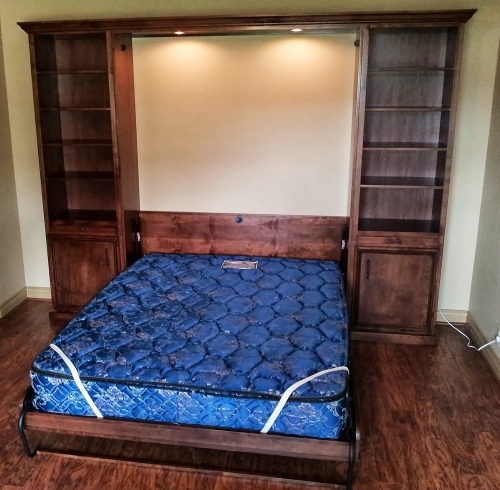 Queen bed with bookcases. effect. 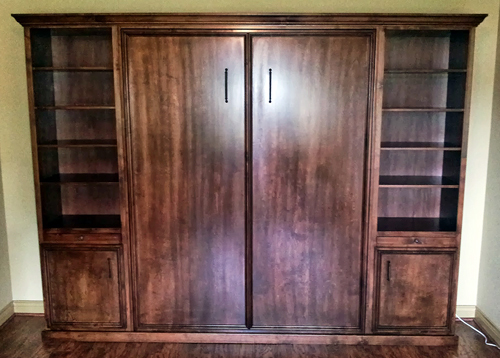 Finished in a medium wood stain with distressed glazing effect.